The dojo at Aikido of Madison is a beautiful and peaceful space dedicated to the study of martial arts. East Madison Martial Arts (EMMA) shares the space with us. EMMA teaches Bujin-Ki-Do Karate as well as Tenshin Shoden Katori Shinto-Ryu. 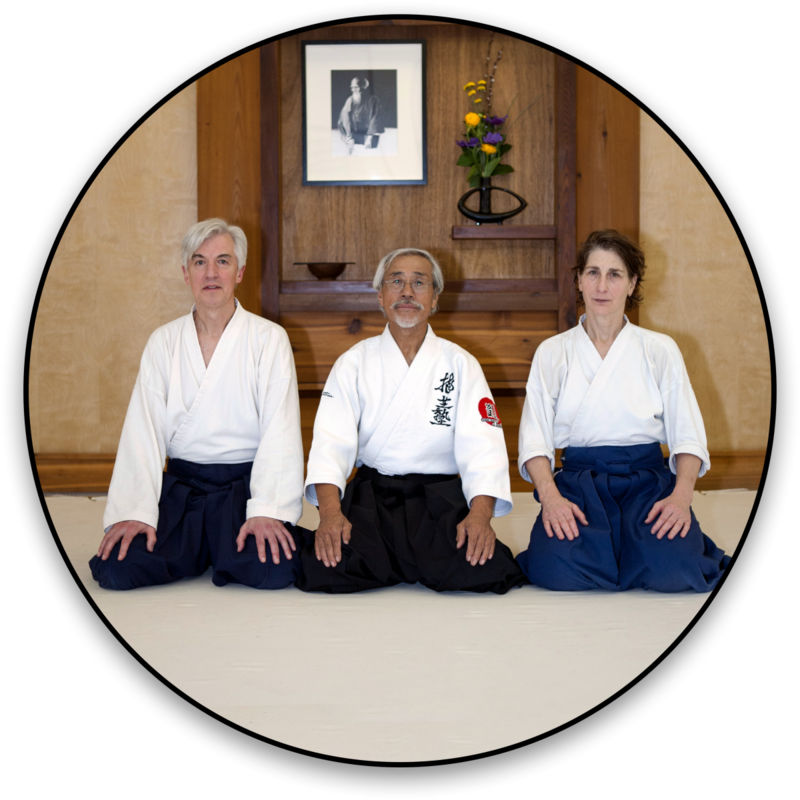 Zen Meditation, lead by Meido Moore Roshi also meets once/week at Aikido of Madison. The manner in which Bujin Ki Do Karate is taught at East Madison Martial Arts, LLC shares a common philosophy and mission to that of Aikido study at Aikido of Madison. Karate classes are taught with an emphasis on blending and harmony and using peaceful resolution to conflict whenever possible. Click here to learn more about Bujin Ki Do Karate classes for both youth and adults. Tenshin Shoden Katori Shinto-Ryu Dojo translated from Japanese means “The martial tradition which is the way of the gods.” It is a style of Japanese swordsmanship and weapons training which was founded in 1447 by Choisai Sensei and was the first martial art designated a “national living cultural treasure” by the government of Japan. It is the oldest continuously practiced martial tradition of Japan. Click here to learn more about Katori Shinto Ryu. Aikido of Madison hosts a Zen meditation group led by Meido Moore Roshi, abbot of Korinji Rinzai Zen monastery and guiding teacher of the Madison Rinzai Zen Community. Zen meditation has a long history of association with martial arts study. Click here to learn more about the Zen Meditation group.